Listen up, what-the-fuckers, what-the-fuckaholics, what-the-fuckaroos: Marc Maron is coming back to Madison. The legendary comic will do five shows over three nights at the Comedy Club on State, from May 23-25, it was announced today. Maron last performed here in 2017, at the Orpheum. Among comedy dorks, he is something of a demigod. 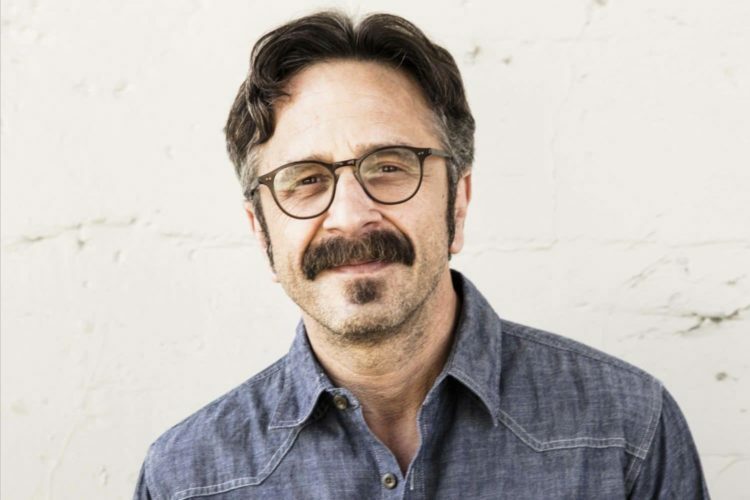 The veteran stand-up has hosted the immensely popular and influential podcast WTF with Marc Maron since 2009. Now nearing 1,000 episodes, Maron’s interviewed everyone from John Mulaney to Dane Cook to Barack Obama, applying an empathic heart and acerbic wit to every conversation. Lately, he’s won rave reviews for his performance as an indie wrestling promoter on Netflix’s GLOW. But perhaps most importantly, Marc Maron is an avowed fan of one of our city’s musical institutions: The Hussy. Maybe you’ll run into him at Mickey’s during his stay in Madison. Tickets go on sale to the public this Friday, Feb. 7 at noon, with a pre-sale for Comedy on State’s email list subscribers 24 hours prior.